San Diego Home Sales website search offers all Carlsbad homes, condos and foreclosures for sale. You are able to get new property listings daily that meet your search criteria. 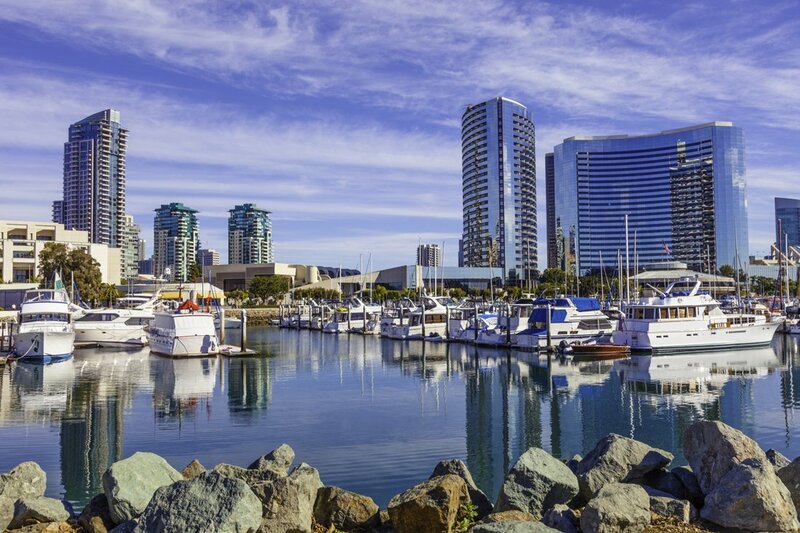 A coastal community in San Diego County, Carlsbad, California, is located about 35 miles north of downtown San Diego along the Pacific Coast and about 90 miles south of Los Angeles. It is just south of Camp Pendleton, the U.S. Marine base, and it lies just off Interstate 5, offering quick and easy access to other areas of the region. It is a wealthy community with a population estimated in 2009 by the California Department of Finance to be more than 104,000. According to 2005 estimates, the median annual household income level was over $106,000 for each of its three zip codes. Carlsbad's economy is diverse and has a number of thriving industries. It is home to the headquarters of companies like Callaway Golf, Jenny Craig, Reef apparel, TaylorMade Golf Company, Upper Deck, Life Techonlogies and many more. GEO Group's western regional office. Its five largest manufacturing employers include: Life Technologies, TaylorMade-Adidas, Callaway, Asymtek, Zimmer Dental, all with more than 600 employees; and its top five non-manufacturing employers are ViaSat, La Costa Resort and Spa, Legoland California, the Carlsbad Unified School District and the Park Hyatt Resort Aviara, all of which employ more than 800 workers. 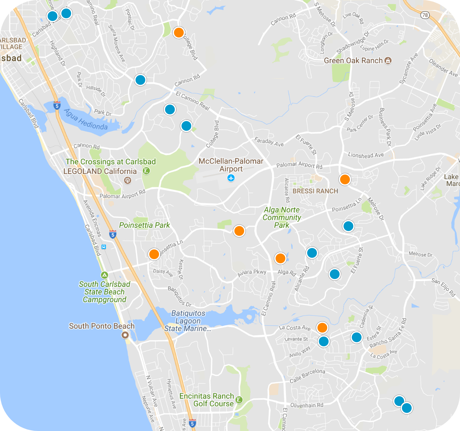 School districts serving the city include the Carlsbad Unified School District, the Encinitas Union School District, San Dieguito Union High School District, and the San Marcos San Dieguito Unified School District. There are two public high schools, three public middle schools and a number of elementary schools. There are also several notable private schools, including the Army and Navy Military Academy, Pacific Ridge School, St. Patrick School and The Academy by the Sea: Camp Pacific. Mira Costa College is just about a mile east. There are a number of varied attractions and destinations in Carlsbad. There is the New Village Arts Theatre in Carlsbad Village, the Museum of Making Music, Legoland California and Sea Life Aquarium. There are a number of shopping centers and plazas, most notably the Carlsbad Premium Outlets, as well as several parks and water sites like the Buena Vista, Carlsbad and Batiquitos lagoons. It is also home to several high-end hotels, spas and resorts.